I was browsing around the Kindleboards forum the other day when I stumbled across a post in which someone had quoted a poem. Then I read it, and it knocked my socks off. I loved it. So I contacted the author to say how much I liked it, and she informed me that she had a debut collection of poetry out on Amazon, for Kindle; so I downloaded it. And you know what? It’s great. 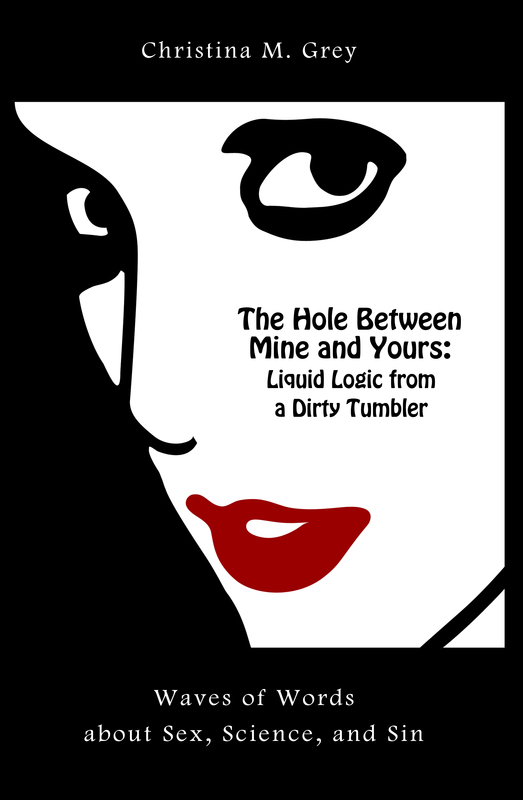 It’s called The Hole Between Mine and Yours: Liquid Logic from a Dirty Tumbler and it’s by Christina M. Grey, and you can get it from Amazon.com or Amazon.co.uk. If you go to the Amazon.com page you can read the first poem, “Wet”, as a free sample. I strongly urge you to do this – it’s just fantastic.